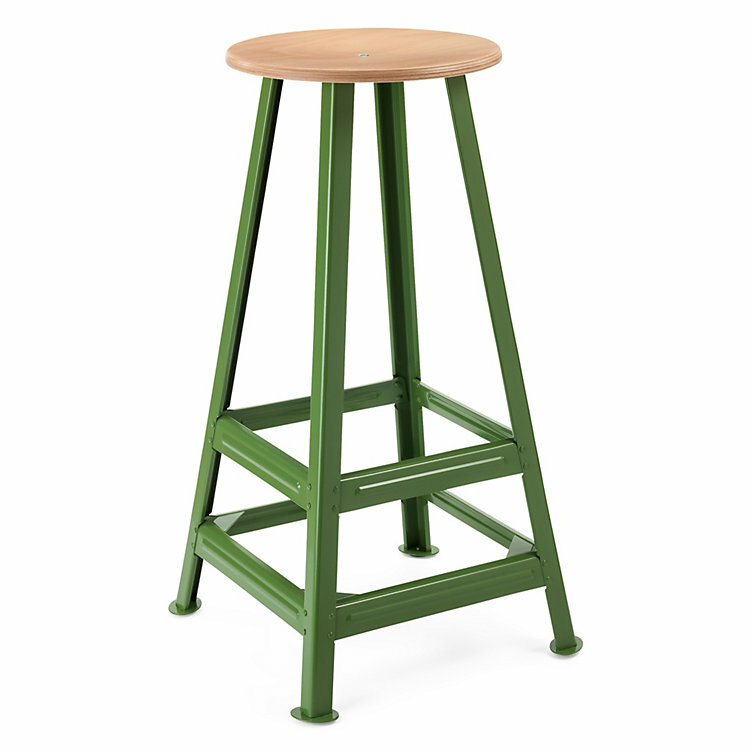 A stool for large bar counters, with four legs and rubber feet. Width 48 cm, height 80 cm. Seat Ø 35 cm. Weight 5 kg. Form Workplace Stool to Bar Stool.